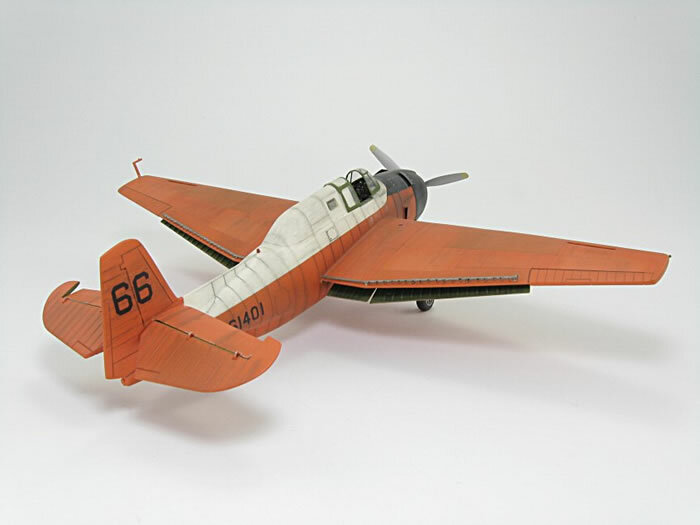 This is the Academy 1/72 scale Grumman Avenger. A calendar I received, had a colored painting of this aircraft and from that, I decided to modify the kit as I thought it to be an attractive scheme on the old torpedo bomber. 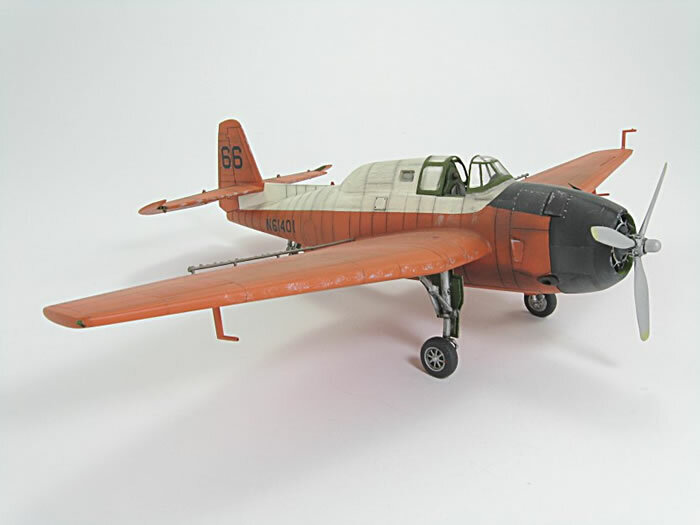 I used the kit canopy, vacuforming the windshield and sliding pilot's canopy section, filled in the side fuselage where the turret was to be fitted and then glued in the elongated kit canopy section. I scoured my canopy stash and found a piece that provided the covered rear section of the greenhouse. Filling and sanding made everything look passable. Beforehand, I cut out the side window and later filled it with Krystal Kleer. The spray bar was made from plastic rod and each "nozzle" was simply built up, using white glue. I dotted the ends of each "nozzle" with black paint on a toothpick to give an appearance of a hole on each one. Floquil Reefer Orange was the base color and I did some dis-similar paneling with various over sprays and variations of the orange color, masking and spraying as I went along. 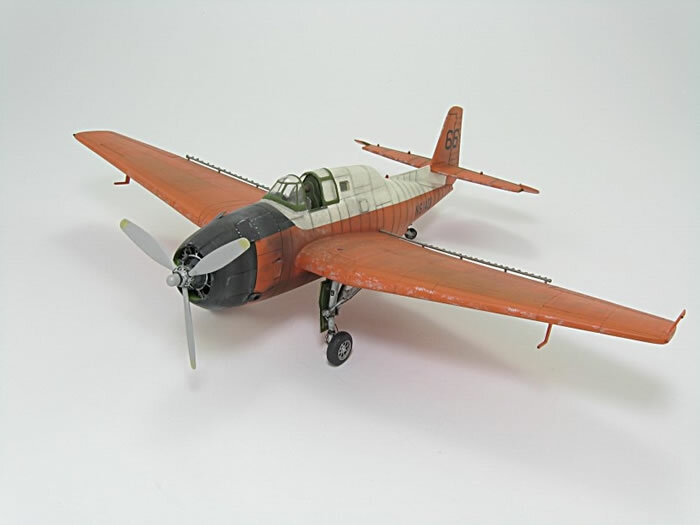 A little streaking on the Floquil Engine Black cowling and some work with a silver pencil on the wing and tail leading edges gave the model that weathered, hard-working look, so common with aerial applicator aircraft. I used Floquil Reefer White for the fuselage trim and over sprayed the prop tips with a Flat Aluminum color to fade them a bit. Rummaging through my parts box, I found a nice set of wheels which I substituted for the kit parts. I raided the decal spares box to assemble the plane and "N" number. Although this may be a fictitious scheme, I can say that it was taken from the calendar painting and certainly provides the "look" of an ag-spraying aircraft, "back in the day...."